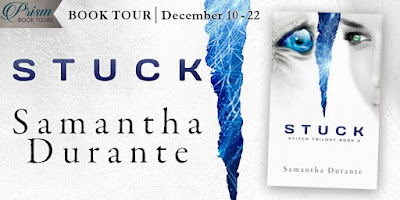 Welcome to the book tour for Stuck by Samantha Durante, a YA dystopian and sci-fi. Today she tells us the story about helping to design her book covers. 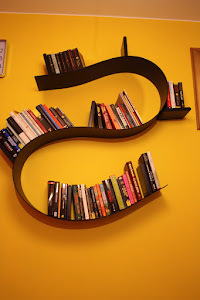 It's not something that authors take lightly! See what she has to say. Download the trilogy for yourself. Leave the author questions and comments about her choices. And then enjoy the rest of the tour. Even a writer has to admit that (as the saying goes!) a picture is worth a thousand words. It comes as no surprise, then, that *almost* as much thought must go into cover design as into the book itself. Captivate: Of course, a cover needs to get readers interested, and one of the best ways to do that is to make it pretty! Signal: The cover’s job is also, naturally, to give readers some clues as to what is in the story by referencing the genres and major plot points. Unify: And, finally, knowing that this was going to be a multi-book series, I needed to come up with a consistent theme that would tie each cover together. 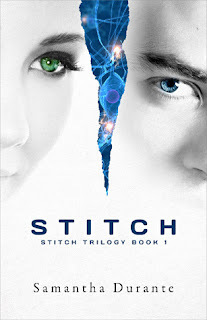 For the first book in the series, Stitch, there were some particular challenges in that the book starts out as paranormal romance (college girl meets ghost), but after some major twists and turns, it morphs into dystopian sci-fi. So it needed a cover that conveyed a little bit of both genres but didn’t “dupe” readers into picking up something other than what they wanted to read. I also wanted to introduce the characters (while leaving something to the imagination), provide some subtle clues about major plot points (i.e. the “stitch” memory alteration and the “ghost”), and hint at romance, all while establishing the overriding “look” for the series. For Book 2, Shudder, it was a little less complicated because I knew that anyone picking up the story was already familiar with the genre and invested in the characters. So my goal with this one was to allude to the characters’ struggle, provide a clue as to the big revelations in this book (having to do with the DNA strands in the background), build on the romance, and continue with the same visual elements to unify the series. 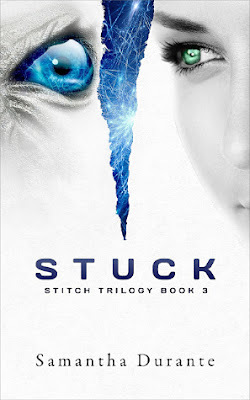 Book 3, Stuck, was a fun one because I really wanted to convey how the series had come full circle – and so we accomplished that with several tie-ins to the Book 1 cover, including the two faces, the blue and green eyes, and the same “tear” element (with some explosive sparks thrown in for good measure… wink wink!). However, of course, each of these elements is slightly twisted from the original cover. Instead of our hunky “ghost” we’ve got a terrifying creature (but only part of one – don’t want anyone losing their appetites! ), our protagonist is looking more determined and focused, and their places have been switched, symbolizing how just much things have changed since we first met Alessa at Eastern State University. Altogether, I’m really happy with how the series of covers came out, and I hope readers find them intriguing as well! I’d love to hear your thoughts in the comments! Things are finally looking up for the Resistance. Sure, Alessa is still processing the revelation that the best friend she’d presumed dead is miraculously alive, though far from well… And her boyfriend is being manipulated under threat of blackmail. But her quest for justice against those behind the systematic extermination of the world population is so close to victory she can taste it. And then in a matter of seconds, everything Alessa believes in is shaken to the core. Months of preparation are obliterated. The people she cares for most are lost. But Alessa is still standing. And Paragon must pay. 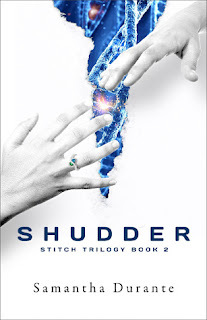 The long-awaited final installment in the riveting Stitch Trilogy, Stuck will have readers gripping their seats as Alessa and a handful of intrepid survivors usher their harrowing journey to a close, risking everything as they endeavor – once and for all – to set things right. Samantha lives in Westchester County, New York with four of the five loves of her life – her husband, son, younger daughter, and cat – and carries her fifth love, her stillborn daughter, in her heart. An avid reader herself, Samantha’s dream is to bring the same delight to readers that other authors have brought to her life. 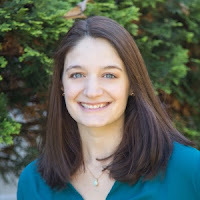 In addition to penning novels and writing candidly about grief, she is also a sometimes freelance writer/consultant – though more often than not these days she’s on full-time mom duty! A former software engineer, Samantha said goodbye to the corporate world in 2010 to pursue her entrepreneurial dreams and lifelong love of writing. Learn more at www.samanthadurante.com. So much goes into making a cover, and it is well worth it as I know I can want to read a book sometimes by its cover - nice job, and the book sound good! Thanks so much, Rose-Marie! Glad to hear these covers are to your liking. :-) You're right - a lot definitely goes into it! Click here to go shopping on Amazon for what I have to offer, or whatever your heart desires. You can return at any time and I can make a few pennies. Thanks!